If you were wondering why you were still seeing posts from that annoying “friend” from high school on Facebook, the social network announced on Monday several hundred thousand users were hit by a bug that unblocked profiles they’d previously blocked. Facebook said more than 800,000 users were hit by the bug. The issue was active from May 29 to June 5, according to a company blog post. Egan said the bug did not reconnect users with people they’d previously unfriended, and that 83 percent of users impacted only had one user flip from blocked to unblocked. The bug is the second problem Facebook has notified its massive 2.2 billion monthly users about in the last month. Facebook recently said 14 million users had their share settings unknowingly switched from private to public for about a week in May. Both issues came on the heels of the Cambridge Analytica data leak from earlier this year, when more than 80 million users had their profiles unwittingly accessed. 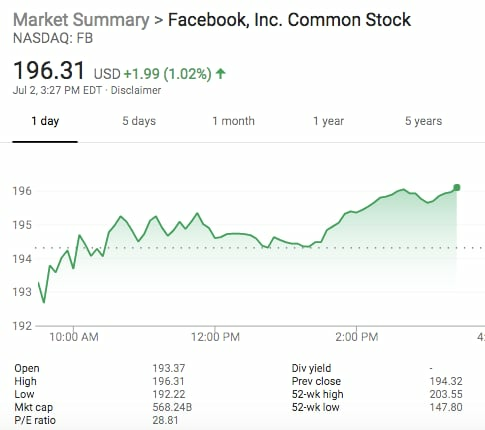 Wall Street doesn’t appear to mind the bugs, however, with Facebook’s stock ticking up 1 percent on Monday — hovering near its all-time high around $200 a share.